Proposed changes by Brisbane City Council under Brisbane City Plan that incentivise the inclusion of green rooftops by residential developers have been warmly received by developers. The changes will enable developers to include communal green spaces on rooftops without listing those spaces as an extra floor. 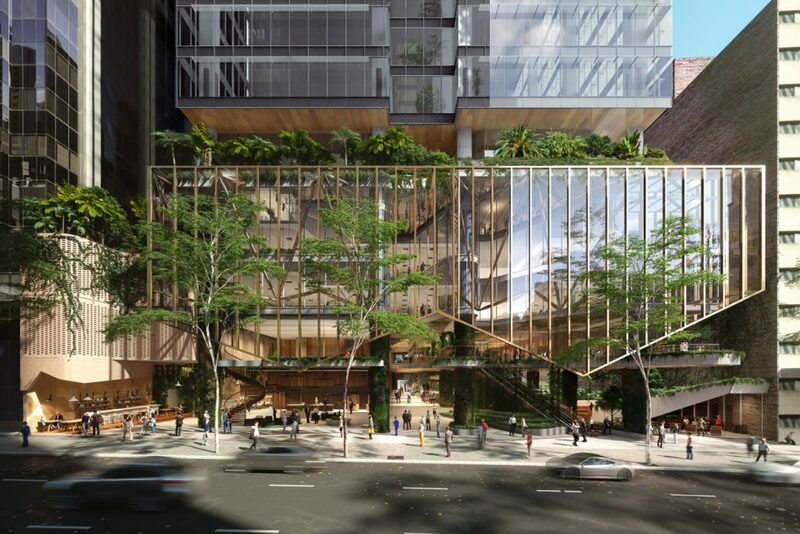 While this is a positive move for developers, designers and the community alike, the next logical step to ensuring Brisbane becomes a sustainable international city is extending such incentives to encourage retrofitting of commercial CBD buildings to include green infrastructure. Brisbane is Australia’s most biodiverse capital city, with more species of native plants and wildlife than any other in Australia, and a favourable climate for growing plants and spending time outdoors. Coupled with a swelling population and booming building and construction industry, Brisbane faces a unique opportunity where it could become a world leader in green infrastructure and sustainability if it gets the framework for achieving this strategy right. By incentivising the retrofitting of commercial buildings within its CBD to include green spaces such as gardens, parks and micro-farms, Brisbane City Council could, in the first instance, unlock hundreds of previously unusable green roof space in the heart of one of the world’s major cities. Providing endless opportunities for continued innovation in sustainability, biodiversity and social wellbeing. Aside from the obvious benefits of having more room to move, multiple studies have shown the significant benefits of green infrastructure on the environment. In particular, green spaces have the ability to reduce their surrounding temperature by between two and four degrees Celsius. This is achieved via plantings that soften the hard surfaces typically used in construction, such as concrete, metal and glass, and which absorb energy from the sun to create ‘heat islands’. Retrofitting buildings to include green rooftops could therefore reduce the temperature of the CBD by between two to four degrees, which would significantly benefit the planet, not to mention comfort levels of office workers and visitors to town. Then there are the associated benefits of greener living and working environments on productivity and mental wellbeing. And these are not just hearsay, but something more proven. There have been multiple studies that confirm that humans have a ‘biophylic’ response to nature and that having access to green spaces has an impact on liveability, health and wellbeing. Some such studies have been undertaken in hospitals, where it’s recognised that a positive correlation exists between proximity to nature and reduced recovery times. Similarly, a search of Google will reveal countless articles about reconnecting people to nature and how that promotes productivity, improves staff turnover and positively impacts employee mental health. In a market-leading acknowledgement of the fact green infrastructure is an integral part of sustainable development, leading property developer Mirvac is working with financial services provider Suncorp, architect Woods Bagot and ASPECT Studios to create a destination for employees and the general public that capitalises on Brisbane’s favourable subtropical climate. The development, at 80 Ann Street, reimagines the workplace environment in order to set a new benchmark in the pursuit of climatically appropriate/responsive design. With the use of specific green infrastructure technologies and experiences learnt from Australia’s southeast Asian neighbours, the project contributes to climate control, urban ecology and user comfort as part of a subtropical city design. With a myriad of accessible outdoor spaces strategically located throughout the building, the design pushes the landscaped elements deep into the building’s envelope and maximises occupants’ engagement and wellbeing, by providing comfortable spaces with natural light and ventilation. When it comes to green infrastructure projects such as this, Singapore is the global leader. There, the law requires the inclusion of green infrastructure within a new project. Closer to home, Australian cities such as Adelaide, Melbourne and Sydney are well versed in green infrastructure and similarly mandated or incentivised the inclusion of green spaces within new projects. The proposed changes by Brisbane City Council to offer up ‘free’ rooftop space for green infrastructure brings the city into line with other Australian capitals but taking the extra step of incentivising the retrofitting of existing CBD buildings to include green spaces would really put us on the map. In Sydney, for example, ASPECT Studios has recently completed the rooftops of both St George Bank/Westpac in Barangaroo and Commonwealth Bank (CBA) in Darling Square, showcasing the growing emphasis that multi-national corporations are placing on the importance of greening their workspaces, sustainability and social wellbeing for their people.